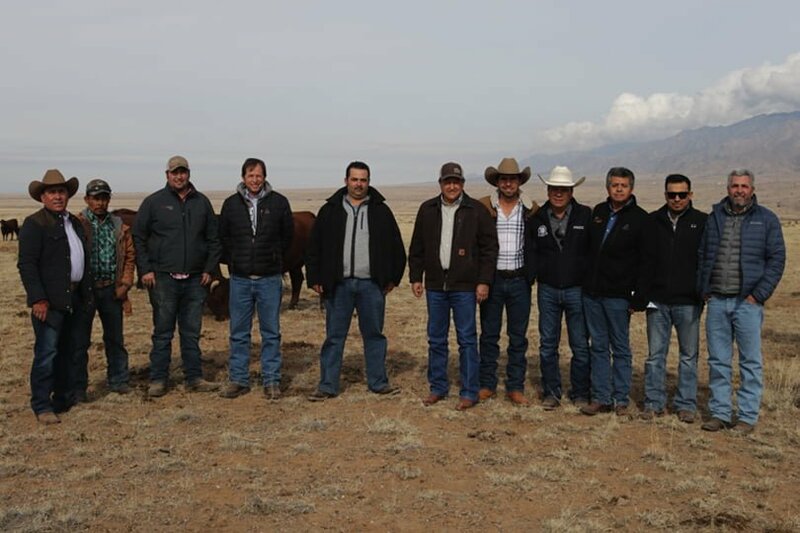 The NMDA marketing team hosted cattle buyers from Mexico in December 2018. They visited New Mexico ranches and met with cattle producers at the Joint Stockmen’s Convention, hosted by the New Mexico Cattle Growers Association in Albuquerque. NMDA Marketing Specialist Juan Sanchez works with U.S. Livestock Genetic Export, Inc. to conduct trade activities on behalf of New Mexico livestock producers. 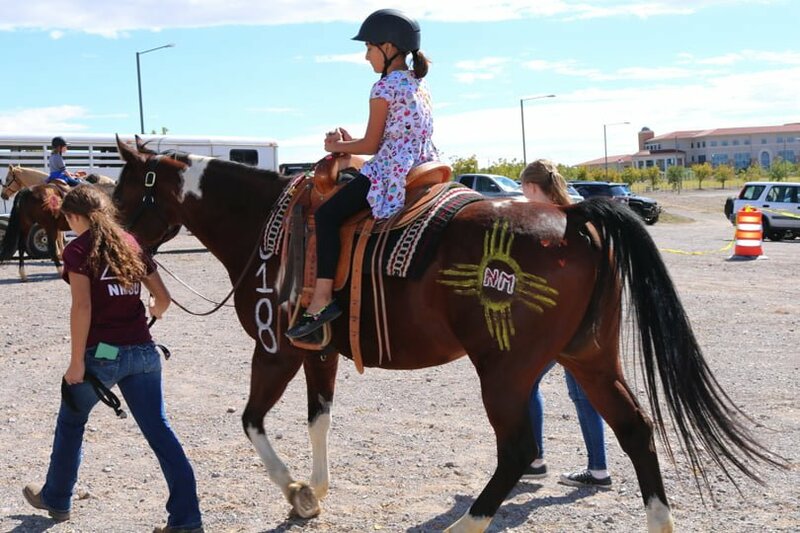 The agriculture community comes together each fall to celebrate Ag Day, a family-friendly tailgate event held prior to a New Mexico State University football game. The Rounders Awards ceremony is held each year at the Governor's Residence in Santa Fe. The award is named after The Rounders, a classic western novel written by New Mexican Max Evans. 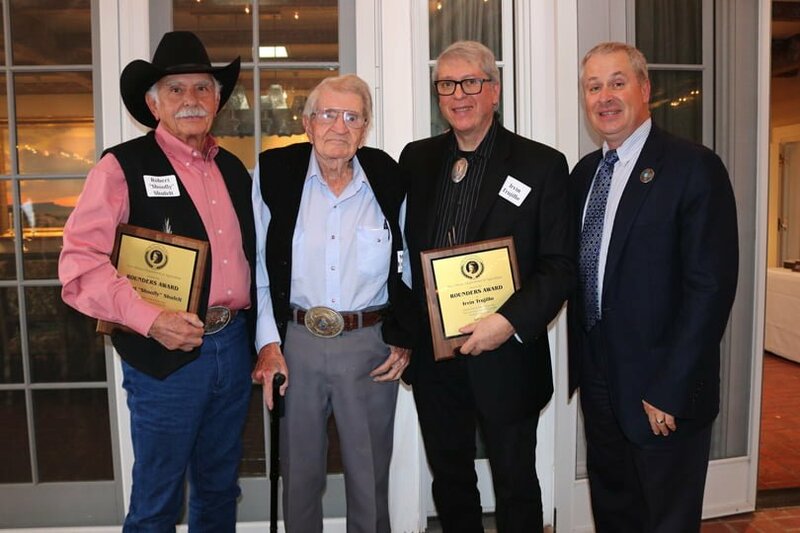 Created in 1990 by former New Mexico Secretary of Agriculture Frank DuBois, the purpose of the award is to honor those who live, promote and articulate the western way of life. Pictured left-to-right are 2018 recipient and artist Robert "Shoofly" Shufelt, Evans, 2018 recipient and weaver Irvin Trujillo, New Mexico Secretary of Agriculture Jeff Witte. New Mexico Agriculture Livestock Incident Response Team trains to prepare for emergencies.